NEWS ALERT: On Thursday, January 3rd, 2019 the lawsuit against Career Education Corporation, Le Cordon Bleu’s parent company, was finally settled, and as a result nearly $500,000,000 in forgiveness benefits are about to be provided to students of Le Cordon Bleu, the Colorado Technical Institute and American InterContinental University. 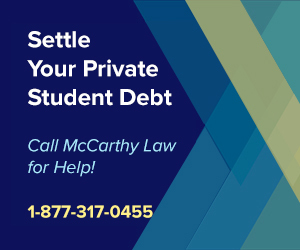 Please note that the lawsuit settlement ONLY covers loans that were provided directly from CEC, meaning that you’ll only get automatic forgiveness for your institutional student loans, and that if you have Federal loans or Private loans from lenders other than CEC, you will still need to utilize the Closed School Loan Discharge Program, or the Borrower’s Defense to Repayment Program, which I detail below. This is a great opportunity to eliminate your Le Cordon Bleu debt without having to pay a single penny for it, so be sure to pay close attention to the results of the lawsuit, and make sure that you bookmark this page and sign up for my Newsletter so you can be informed of future developments! In 2019, the great news about Le Cordon Bleu debt is that it’s pretty easy to get rid of, even if you still owe the school a ton of money. There are two specific avenues for achieving loan forgiveness for former Le Cordon Bleu students: first, the Borrower’s Defense To Repayment program and second, the Closed School Loan Discharge program. If this sounds too good to be true, don’t worry, because these two loan forgiveness programs are complete real and totally accessible. They are NOT scams, despite what some people might say, and both of them are run entirely by the US government, making them 100% legitimate paths to wiping out your loans without having to pay them back. In this article, I’m going to give you all the information you need to know about these two programs, including who qualifies for them, and how to apply to each of them. I’m also going to give you some very valuable tips on how to write your Borrower’s Defense application in a way that will increase your chances of getting it approved. If you’re a former Le Cordon Bleu student seeking loan forgiveness then you’ve certainly come to the right place, because if you follow my advice, you’re almost guaranteed to get your loans discharged. Let’s get started. In February 2018, as the result of a class action lawsuit, Le Cordon Bleu-Portland agreed to refund 44% of the tuition paid by former students. This is not student loan forgiveness. It’s the settlement of a class action lawsuit against the school. 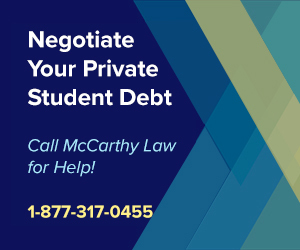 However, the fact that school admitted its guilt and agreed to pay out that much money paves the way for former students to use the lawsuit as a reason that their student loans should be forgiven via the Borrower’s Defense Against Repayment Program. Now that the huge lawsuit 49 States Attorney Generals brought against Le Cordon Bleu has also been settled, in which their parent company admitted lying about job placement rates, there’s even more evidence for BDAR discharge applications, and it’s basically a slam-dunk case for anyone looking to discharge their debt. As I explained above, there are two great loan forgiveness programs available to former Le Cordon Bleu students. However, that doesn’t mean that you can apply for both. You’ll need to choose one, and the program you choose should be the one that offers you the best chance of receiving debt forgiveness as quickly as possible. To help you decide which program will work best, let’s take a look at these two programs in detail. This is the student loan forgiveness program for students who attended schools that broke the law in some way, and who’s loans are then eligible for discharge since they shouldn’t exist in the first place. Since Le Cordon Bleu broke the law, and admitted to it during the proceedings of their class action lawsuit, former students are entitled to apply for a Borrower’s Defense Discharge, which makes them eligible to have all their related student debt wiped out. Other former students are already getting their loans Le Cordon Bleu discharged, which makes it very likely that you can get rid of yours too, as long as you follow the rules of the BDAR program. The key here is linking your Borrower’s Defense claim to the Le Cordon Bleu class action lawsuit, and including details about the court case and the resulting settlement in your discharge application. If you do this correctly, not only will your student loan be forgiven, but you may also be refunded for any payments you already made on the loan. This is why I’m going to show you how to correctly write your Borrower’s Defense claim. First and foremost, you need to point out that Le Cordon Bleu broke the law and that you would have never taken out a student loan to cover the cost of the tuition if the school hadn’t engaged in fraud. What you’re trying to prove to the Government is that you only took out the student loan because the school lied to you, and that it was the content of their lies which convinced you that it’d be a good idea to borrow the money needed to attend their higher education program.. Remember, Le Cordon Bleu was found guilty of lying about job placement rates, salary data and other things during the course of the class action lawsuit, so it will be easy for you to prove that they misled you via false advertising. Second, you’ll need to be very specific about what they did to you. It isn’t enough to simply point out that they got in trouble for breaking the law. You will need to show what they did to you, personally. As you read about the types of fraudulent activity Le Cordon Bleu admitted to engaging in during their lawsuit, ask yourself if any of these things happened to you. If they did, you’ll need to present them in your Borrower’s Defense claim, and you’ll want to be as specific as possible within your application. Think of it this way – if you can tell the Government exactly what Le Cordon Bleu did that was illegal, and which convinced you that taking out a student loan to attend the school was the right thing to do, then you’ll be able to get all your loans forgiven. What Fraudulent Activity has Le Cordon Bleu Been Accused Of? Le Cordon Bleu has been accused of falsifying job placement data, using high-pressure sales tactics, inflating graduation rates, and pretending that the school was highly selective. But remember, it isn’t enough to simply point to the fact that Le Cordon Bleu was engaged in fraudulent activity. When you apply for student loan forgiveness via the Borrower’s Defense program, you will need to point out that Le Cordon Bleu did these things to you personally. Let’s take a closer look at what exactly Le Cordon Bleu did that got them into trouble. Did any of these thing happen to you? If they did, it’s a reason your student loan should be discharged, and you should definitely consider using the Borrower’s Defense Program as your path to student loan forgiveness. The only place you should file your Borrower’s Defense claim is the official US government website devoted to the program. Do not file the claim anywhere else! Don’t be surprised if you find other people claiming that they’ll take care of the process for you, for a fee, because there are tons of Student Loan Forgiveness Scammers floating around out there now. Don’t be fooled by these tricksters! Make sure that you file your claim at the official website the US government has set up explicitly for this purpose. While it’s terrific that this program is available, the unfortunate part is that your application may take some time to process. In fact, I know people who waited over a year before they received a response. So, be aware that after submitting your claim, you may be sitting on things for some extended period of time. Don’t despair. The Department of Education is understaffed and underfunded, but they’re working through the applications, and it may simply take a while until yours gets processed. Whatever you do, don’t let the wait discourage your from applying for this program, because Secretary of Education Betsy DeVos doesn’t seem to like the Borrower’s Defense program and she’s actively trying to get rid of it. If she’s successful, but you manage to get your application submitted before she kills off the program, then you’ll stand a good chance of being grandfathered into the benefits, so it’s important that you get your submission in as soon as possible. If you don’t feel that Le Cordon Bleu defrauded you, then don’t give up quite yet, because you’re got another option for pursuing loan forgiveness: The Closed School Loan Discharge program. This program is for people who were either studying at Le Cordon Bleu when it closed or who left no more than 120 days prior to its closing. Here, I’ll give you the important information you need to figure out whether or not the Closed School Loan Discharge Program applies to you, but if you want to read through all the details about the program, then take a few minutes to read through the page I created about it here. As I mentioned, the Closed School program is for people who were studying at the school when it closed or who left the school no more than 120 days before it closed, without having earned a degree.. There are a couple of other conditions as well though. If you’re currently attending another school after having transferred your credits from Le Cordon Bleu you won’t qualify for the program. You also won’t qualify if you completed all the credits necessary for graduation from Le Cordon Bleu but had not received your diploma at the time the school shut its doors. If you can satisfy these requirements then there’s a very strong possibility that your student loan will be forgiven via a Closed School Discharge. Applying for the Closed School Loan Discharge program is easy! Just download the application, fill it out, and submit it to your loan servicer: the company who you send your monthly student loan payment to. Every student loan servicer has a slightly different way of handling Closed School Loan Discharge applications, so you’ll have to see what they ask for after you’ve submitted your application, and you’ll need to comply with whatever guidelines they provide. Just make sure to follow their instructions on what to do after you submit the application and you should be all good for getting your debt discharged. That’s a hard question to answer because each program is excellent, but they work better for different sorts of situations. Both programs provide complete student loan forgiveness for former students of Le Cordon Bleu and both programs can reimburse you for student loan payments that you have already made. However, if you qualify for both programs I would suggest using the Closed School program because of how long it’s taking the Department of Education to process Borrower’s Defense applications. Waiting over a year just to hear back from the DOE doesn’t sound like my idea of fun, and I believe that Closed School Loan Discharges are being approved far faster than BDAR applications, so I’d go with the Closed School program if given the choice. Ultimately though, it’s really up to you! My advice is that you take a careful look at the qualifications for each program and decide which one will work best for your specific needs. Yes. Unfortunately, the IRS will consider the amount of forgiven student loan debt as taxable income. Let’s assume that you have $75,000 forgiven. If you’re taxable income is 30%, then the IRS is going to say that you owe them $22,500 (30% of the $75,000 forgiven), but even worse, it’ll all be due in a single lump-sum payments. In otherwords, the IRS will want their money right away, even though your student loan servicer has been allowing you to make smaller, monthly payments toward the outstanding balance of what you owed. For many people, this is going to create a massive problem, because if you’re already struggling with a small monthly payment to your loan servicer, then I think it’s highly unlikely that you’ll be able to easily come up with the cash for a lump-sum payment to the IRS. Because I’m well aware of the problems the Student Loan Forgiveness and Taxable Income laws are going to create for people, I’ve created an entirely new sit ecalled Forget Tax Debt which helps people eliminate their tax-related problems and debt. If you, or someone you know, is struggling with tax debt, then be sure to visit Forget Tax Debt, where you’ll find articles and advice on topics like Filing & Paying IRS Back Taxes, negotiating IRS Tax Debt Settlements, enrolling in the The IRS Fresh Start Program, and applying for IRS Tax Debt Forgiveness. For help with questions about general student loan issues, check out some of the other pages of my site, where I cover details about both Federal and Private loans in detail. 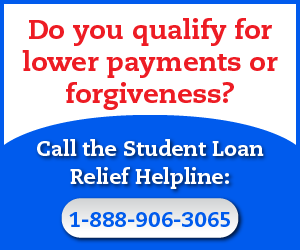 If you want to get help with Federal Student Loan Relief, look at my pages on Federal Loan Forgiveness, Federal Student Loan Bankruptcy Discharges, Federal Loan Consolidation Programs and Federal Student Loan Repayment Plans. And if you need help with Private Student Loan Relief, visit my pages on Private Loan Forgiveness, Private Student Loan Consolidation, Private Student Loan Bankruptcy Discharges and Private Student Loan Default Help. The best place to find information on either the Borrower’s Defense Program or the Closed School Loan Discharge program is the US Department of Education website for Federal Student Aid. They have a page for both the Borrower’s Defense To Repayment program and the Closed School Loan School Discharge program. Another option is to view the same program-related pages on my site, which you can access here: BDAR, Closed School Discharges. Be careful about taking advice from anywhere other than the US government. While some of it might be good (after all, I’m not associated with the US government), there are also a lot of scammers out there. Even though I don’t work for the US government I would still be happy to answer any questions you might have about either of these programs, or about student loans and student loan forgiveness in general. Just leave a comment below and I’ll respond to you as quickly as possible. Hi, i graduated from the le cordon bleu back in 2007, i was out of the country for around 9 years and recently moved back. i received a letter from the department f education stating i have a outstanding loan from the school and they are ready to garnish my wages. the thing is, i didnt take out this loan. is there a program here that will help my situation? My husband signed a Parent Plus Loan for our daughter also for this school. We were misled and lied too because about the success of rate of this school and our daughter was lied too as well and did not get the job placement they spoke about either. What should we file for, cause we the parents are stuck with a federal loan that continues to accrue crazy interest,. I would definitely try the Borrower’s Defense Program. Just make sure that you clearly explain what ILLEGAL activity the school committed against you. NOT against your daughter (that would make HER loans eligible for discharge), but against YOU and YOUR HUSBAND. Be very, very specific about what they did that constitutes Fraud. Make sure to read the guidelines in my post because you’re probably only going to get one shot at this, and it could literally take years to hear a response from the Department of Education. If I already submitted my Borrower’s defense claim – can I go back and add more details to it? Would this cover Private loans as well? They had me take out both federal and private loans. I consolidated my federal loans. My private loans is ridiculously high as I had to take forbearance because I could not afford the monthly payments and at the time I had no idea that the interest would go into the capital. I don’t think you can go back and add more details – I haven’t heard of anybody being able to do that. No, the BDAR Discharge Program does not cover Private Loans. I am now a Disabled Veteran with private loan from 2007 used for Le Cordon Bleu MPLS/StP, MN. Is there a possibility of any type of forgiveness or refund? I graduated in 2007 and my school went through it’s own class action lawsuit which I recieved a settlement from, though it was a very small fraction of what I owed and would not have settled my debt. I have never been able to afford to pay on my loans and as a result they have now more than tripled so the lump sum tax would end up being as much as the amount of my original loans. How can I get help with these applications to help achieve the best result? I would really love to clear this debt and start working on improving my credit which is now incredibly bad. Look at my Guide to Filing a BDAR Discharge Application. Ok so I went to Le cordon bleu in Pa way back in 2003 and I never graduated but I still ended up with $50,000 in debt. My paychecks have been garnished for about 9 to 10 years , will I get any money back? I was pressured to get private loans and federal loans to cover tuition fees , room and board, plus they talked me into getting another loan to have cash in my pocket. They threw money at a young 19 year old from a poor family so I took it. I had a dream of being a TV chef and they promised me I would have my dream come true if I finished. I don’t remember the names of my recruiters but I do remember all the promises. I got a letter in the mail saying I owe $0 , and that my credit report should reflect there claim. What are my chances of not having to pay this debt that has been sold twice to different collection agencies? Or even getting some of my money back? Start by looking at my Guide to Stopping Student Loan Wage Garnishments. Then look at my Guide to the Borrower’s Defense to Repayment Program. Finally, call the Student Loan Ombudsman Group to see if they can help. Will I be eligible for any of these loan forgiveness if I finished the program but they closed while I was on my internship program which is out of state? So the Le Cordon Bleu I attended closed in June 2016 and I finished my internship in August 2016 then they just called us for the graduation ceremony in May 2017. They also promised me to get me a job but they didn’t even help me find an internship site and I had a hard time looking for a job after they closed because they have no career services to help me anymore, I am still struggling getting a job from this degree and I haven’t start paying my student loans I borrowed to pay the whole culinary degree. No, if you Graduated before the school Closed, then you won’t be eligible for a Closed School Loan Discharge. It doesn’t matter if you’ve already walked in a Graduation ceremony or if you’ve received your actual Diploma, as long as you FINISHED the program, you’re not eligible. You MIGHT be eligible for a Borrower’s Defense Discharge based on the claim that they promised to get you a job, but this sounds kind of dubious to me. I’ve never heard anything successfully make the claim that they guaranteed job placement – usually they say stuff about a certain percentage of their graduates were able to find jobs in their field, earn a certain amount of income, etc. The promises are typically pretty open-ended. You’d need REALLY specific evidence for the claim that they “promised me to get me a job” – if they really did that, it’d probably work, but proving that to the DOE is going to be tough since it’s not a claim many people pursue. It sounds outlandish to be honest. So what do you do when you graduated so long ago? My husband went to LCB school in Chicago and graduated in 2004 and were still paying off his loans. At this point, he doesn’t remember details; he does remember being told he would have a decent paying job post graduation and that they would help with job placement. He was also really upset when the years after he started, enrollment skyrocketed. He was also encouraged to take out additional loans for living expenses. It also seems like he was pushed into private loans before taking out the max in federal loans. Is it still worth applying for the BDR? You won’t qualify if that’s all that you can explain. Your claims need to be VERY specific. What was promised? Who said it? How did it impact his decision to borrow money? If you can’t provide additional detail, then don’t even bother applying because the application will be denied for sure. Thanks so much for all the info! Me and my wife attended Le Cordon Bleu in Las Vegas, NV from 2007-2009/2010. Would we be eligible for any of these programs? You’ve got to read through the eligibility conditions to see if they apply to you. It’s all detailed in the content on this page. Sounds like you were there way too early for a Closed School Loan Discharge, so at best, you may be eligible for the Borrower’s Defense Against Repayment Program, but that depends on what your experience with the school was like. You mention this cab apply to 49 states. I think I know that NY has already settled and CA is in process of settlement with Career Education Corporation. Can student loan victims who attended Le Cordon Bleu in CA, and were mislead by marketing tactics, get their applications processed yet or is it too early still or is Le Cordon Bleu not connected or what? Trying to help a friend out and Id like to know that other state. You can still apply for a Borrower’s Defense Discharge against Le Cordon Bleu in any state – those applications won’t be impacted by the lawsuit. I’d get your application in as soon as possible. I am a former student at LCB in Scottsdale AZ. I had close to $50k in student loan debt. I paid off $25k in private student loans and $27k in Federal loans. The interest was killing my ability to make a minimum payment and increased the loan balance exponentially. In order to do this I had to take a 2nd mortgage on my home! Would there be a way for me to file a claim in order to receive a refund in order to pay off the 2nd mortgage? You MIGHT be able to qualify for a refund via BDAR, but from my understanding and what I’ve been told, these are extremely rare. It’s possible, and I’d still try it because what have you got to lose? But I would not plan on getting your debt refunded. It’s apparently much easier to get an approval for having your debt wiped out, rather than refunded after you’ve already paid it off. You mentioned a 44% refund for tuition. We paid cash for the course for our son. The interest charges brought the total bill to $51,000. The loan original was $38,000. Crazy interest rate, huh? that was for 18 months. How do we go about getting a 44% refund? I don’t have more details other than what I included in the page. You’ll need to see if you can find additional info from Google or elsewhere. Thanks so much for the in-depth info, Tim! Your site is definitely one of the most helpful I’ve found. I’m wondering if you know how much documentation is needed to demonstrate some of the things you mentioned (aggressive recruitment tactics, promise of job placement/salary, etc). I attended Le Cordon Bleu – Austin in 2009, and I don’t know if I still have records of these things happening, although I remember them clearly. Do you know if documentation is required, or know of any examples of successful LBC Borrower Defense applications? Thanks so much for your compliments; I really do appreciate it! Documentation-wise, there aren’t any hard and fast rules about what needs to be provided. The holy grail is that you can take a screenshot of an email correspondence with the school, provide proof of something they said in writing (like a scanned document or letter), or find some ads of theirs making illegal promises, but this kind of material is exceptionally difficult to come by. One trick you can attempt is using the Internet Archive’s Wayback Machine to look at old versions of the school’s website, and see if you can find them making any illegal claims in their content, talking about graduation rates, job placement rates, salary levels, etc. This may be the easiest way to find some examples of their illegal activity. The more specific you are, the more credence your claim will hold, so don’t shy away from including as much detail as possible! Good luck!